Get from point A to point B quickly, safely, and stylishly. GTS Executive Sedan & Limousine Service, Inc. provides private transportation for clients who want something much more than a taxi. We offer our high-end car service in Washington, DC, and the surrounding areas. By riding in our executive sedan, you can expect friendly and professional drivers that provide a clean and comfortable ride. Enjoy the benefits of private transportation by choosing GTS Executive Sedan & Limousine Service Inc. 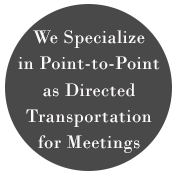 Whether you are looking for a ride to the airport or point- to- point meetings in Washington, DC metro area. Our knowledgeable and courteous drivers are able to get you to your destination safely and comfortably every time. Learn more about our online reservation system and the types of services we offer. Make your next trip to a meeting, a special function, or the airport as stress-free as possible. Instead of driving through traffic or enduring crowded buses, why not ride in luxury in one of our limousines? We make traveling convenient, hassle-free, and most importantly, luxurious. Our well-appointed and late-model vehicles give you a place to unwind and relax while we take you to your destination. Work, rest, read, listen to music, or enjoy time with friends when we take you where you need to go. Catching a cab in the middle of the night can be difficult. Get special treatment by depending on our airport limousine transportation service. Whether you are a corporate customer that needs an airport ride for clients or employees, or you are sponsoring an event for family, friends, or guests, we have the right solution to accommodate your needs. Make sure they arrive in style in one of our executive sedans. Do you want to make a great impression with your business partners and associates? The next time they need to travel to or from the airport, choose GTS Executive Sedan & Limousine Service, Inc. We cater to clients in need of corporate transport. You don’t want your clients to fight traffic or spend time trying to get around town. Let us help you make it easier for them. When you rent a limo from us, you give them the royal treatment. 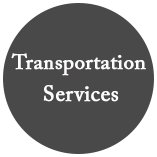 Find out more about our vehicles, or schedule transportation today by contacting us. Contact our company if you need to book a limo for an upcoming private party. We proudly serve customers throughout Washington, DC, and the surrounding areas. Receive reliable, prompt transportation service that fits your needs and budget when you contact GTS Executive Sedan & Limousine Service Inc. With more than 20 years in business, we have distinguished ourselves as the leading transportation company in the DC Metro Area. We stay ahead of the curve by providing our customers with an online reservation system and keeping everything mobile-friendly. Our chauffers work around the clock to meet your needs, whether you need Reagan Airport car service, BWI Airport limo service, or transportation for a special event. Needing Reagan Airport car service? At our company, we offer an advanced online reservation system for all your private transportation needs. Needing a car service / taxi service in Fairfax, VA or surrounding areas? We offer an advanced online reservation system for all your private transportation and limo service needs.